"What you said was disrespectful!!" As you would have seen yesterday ahead of the game tonight, Tony Pulis slammed any form of praise for Guus Hiddink for Chelsea's change in fortunes and unbeaten in five games. I am interest to read your thoughts on what he has said. 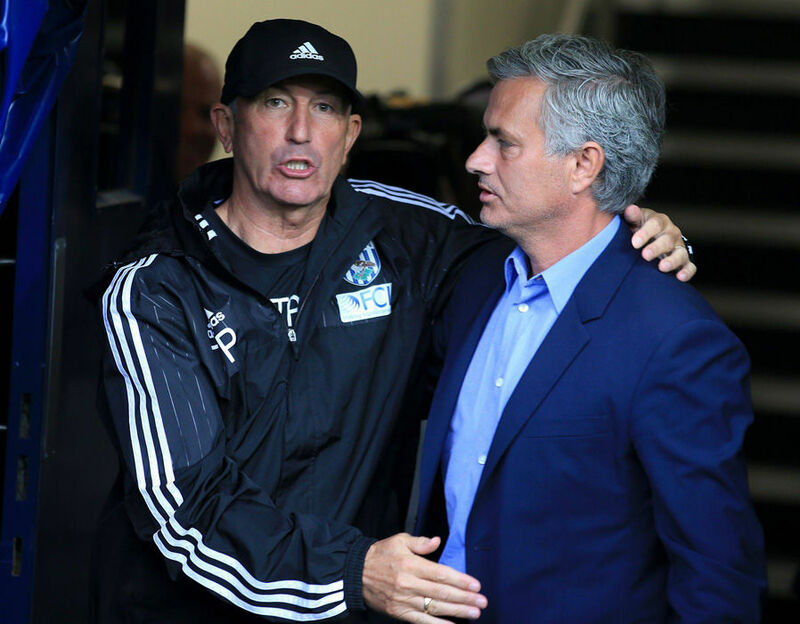 We have all seen the good relationship Jose has with Tony Pulis, as per the photo above that's obvious. In fact, Jose has gone on record previously to name Pulis as one of the top managers in the country. "The fact is Mourinho won the league last season by a country mile. There might have been other reasons that things didn't go so well this year but to put Jose down is completely and utterly out of order. What you said was disrespectful to Mourinho and also the players that won the league last year because they played some great football last year, some fantastic football. We're in for a tough game. It's Chelsea -- they've got some wonderful players and we'll have to be on it and at our best. "That's the same with every top four or five club. If you go away and play against them you have to have at least 10 of your players playing to their maximum to get a result." I personally do not see it that way. Looking back it was obvious that something had to happen and a change of some sort was needed. I love and respect Jose Mourinho as much as the next person and no one here will ever forget what he has done for our club, but it WAS the right time to go. The record speaks for itself since he has left the club and for whatever reason, our results have improved which gives us half a chance again of a top four finish if he can build on that. My own personal opinion is that he had lost a part of the dressing room and as soon as that happens it's game over. Guus Hiddink has come in, reverted back to basics and so far it's working so fair play to him. I don't believe it's being disrespectful to Jose Mourinho - do you?